It's November 30th and I am excited to say that my November Bee Blocks are going in the mail ;) Whew, just finished those in the nick of time!!! This month Shannon asked us to make some Simple Stars in blues and green's for her son's beds. I just love making Star Blocks and these two blocks went together super quick ;) Even if I messed up the first time around because I tried to make my star points with the wrong size square. Gotta love it when you get going a little to fast ;) Luckily, I had some of the same Grunge in my stash, and an endless supply of blue and green scraps!!! And somehow, I never posted September's bee block but I did indeed make it on time ;) Calli had us make some adorable Bear Claws!! These are such a classic block and I just loved making it in these adorable 30's fabrics. And did you notice that I skipped October? We'll that just happened to be my month in the bee!!! I asked my bee mates to make a True North block this time around. I just love this block design but have wanted to do it in non Christmas fabrics for a while. 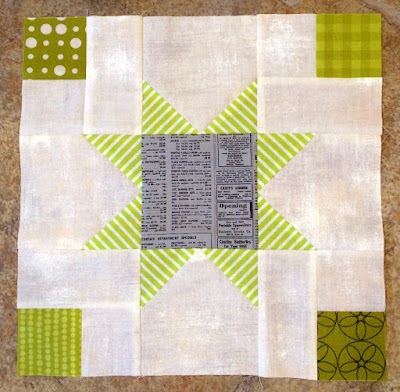 Hello Melissa; The four different fabrics used in the corners of the Star blocks really caught my attention. 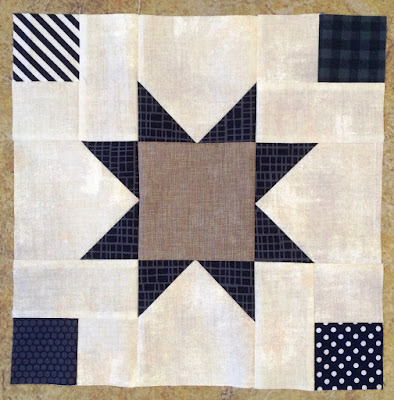 A very nice way to keep the main star all one fabric and make it a scrappy block by using the corners. 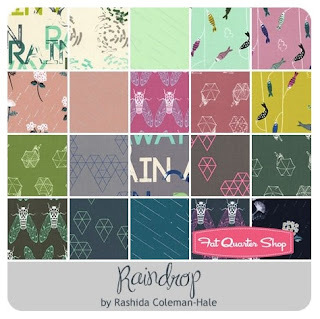 I love....the fabric you used in creating the Bear Paw block! It is such a bright stand out fabric that would make so many blocks just rock! I do not think I have seen the True North block. It is a very interesting block and I like the way in which you chose to create yours. I would love to see what the others Bee members Blocks look like so I hope that you share them with us! 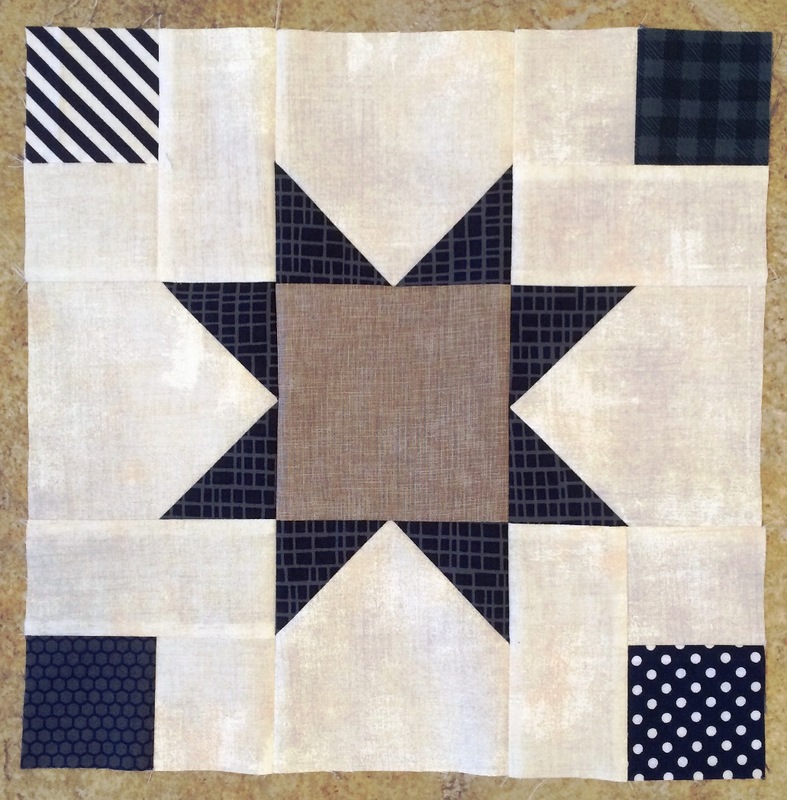 Melissa, you are a very talented quilter and with each of these blocks you have shared today they showed your superb skills at piecing and in quilting. I am glad that I follow your blog and have finally started to take the time to comment. I know I will learn from your posts. Thank you for sharing and have a great day!